Export customs clearance is obligatory for goods that are exiting the territory of the EU. Therefore, an export customs declaration should be made for all the Third World countries (Bosnia and Herzegovina, Republic of Macedonia, Serbia, Montenegro, Turkey, USA, Russia …). After a preliminary agreement we prepare and issue all the necessary documentation for you, so that the goods traveling to Third World countries are export cleared. The status of an authorized consignor enables us to electronically submit export declarations for goods located even in your yard. 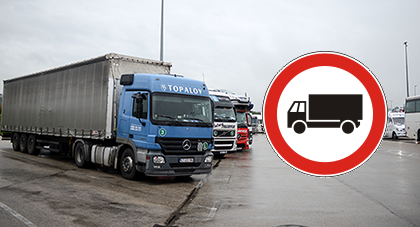 If the customs do not carry out a physical inspection of goods we can send the export customs declaration to your address via email. In this case you only have to print it and hand it to the carrier that transports the goods. Export procedure is finished when the carrier declares goods to the customs on the exit and leaves the territory of the EU. Export customs procedure is a procedure under which community goods exit the Community customs territory. The exit procedure covers a customs control over the goods, the keeping of the trade policy measures, filling in export formalities and payment of probable export duties (at the moment not in the EU). 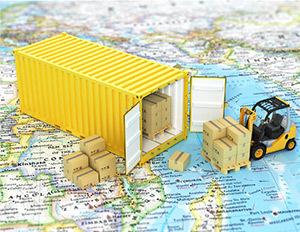 Procedure of the outright exportation is carried out when the community goods exit the Community customs territory without returning (the most common type of exportation). submit goods at the trade customs department and provide the supporting transport document. Procedure of the outright exportation is a two phase procedure; first the export clearance is carried out at the customs export department that is competent according to the registered seat of a company. Then the actual export of goods from the customs territory is approved at the customs authority where goods exit the EU. If goods do not leave the customs territory in 150 days the customs declaration has to be invalidated. Exported goods are exempt from VAT, which can be proved by the export declaration that contains the approved exportation of goods. Goods intended for reimportation go under the temporary exportation procedure. verbal declaration (only in certain cases, e.g. goods up to a value of 1000 EUR, means of transport intended for reimportation ...). Goods need to be reimported within the deadline set by the customs authorities or no later than three years in an unaltered state provided that the identity of the goods can be proved. Procedure of the outward processing enables the community goods to temporarily exit the Community customs territory, so that they can go under enrichment operations or repair. Enriched goods are reimported and released for free circulation being fully or partially exempted from import duties.